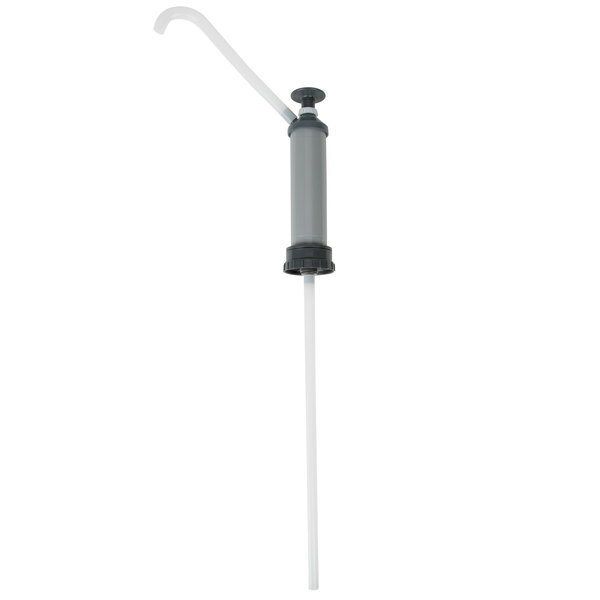 Use this Noble Chemical gray 5 gallon pail pump to easily dispense chemicals. 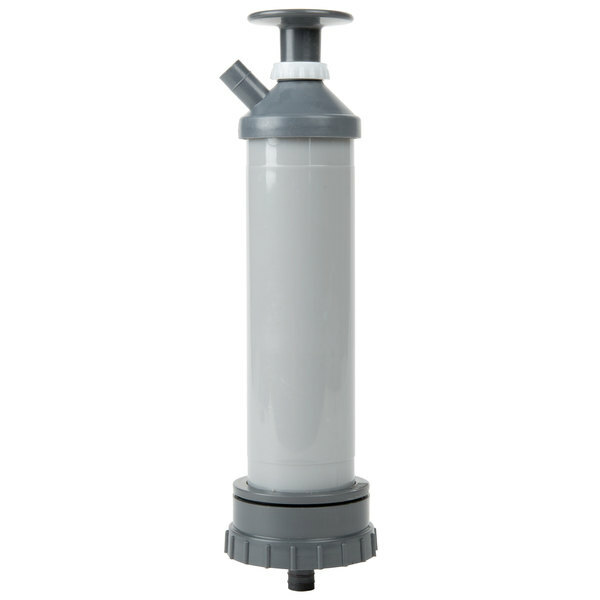 Make the cleaning and sanitizing processes in your restaurant, dining hall, cafeteria, office building, school, or other establishment more efficient by using this Noble Chemical gray 5 gallon pail pump dispenser. 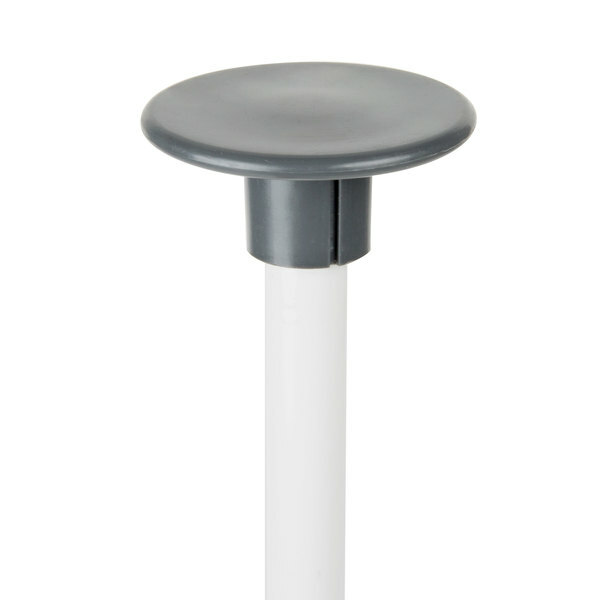 This product is compatible with large pails of chemicals, allowing employees to easily dispense contents into buckets, sinks, pails, and other cleaning receptacles. 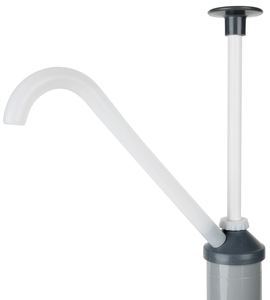 You can even use this pump with pails of hand soap, sanitizer, and detergent. 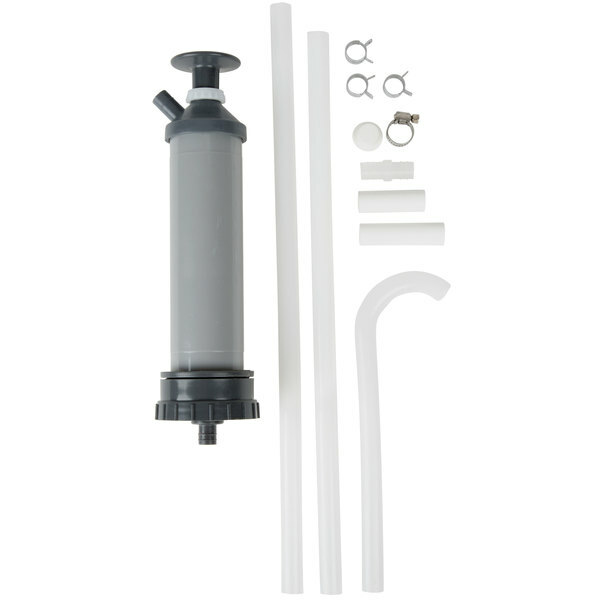 "This 5 gallon pail pump is a great value pump for the price. 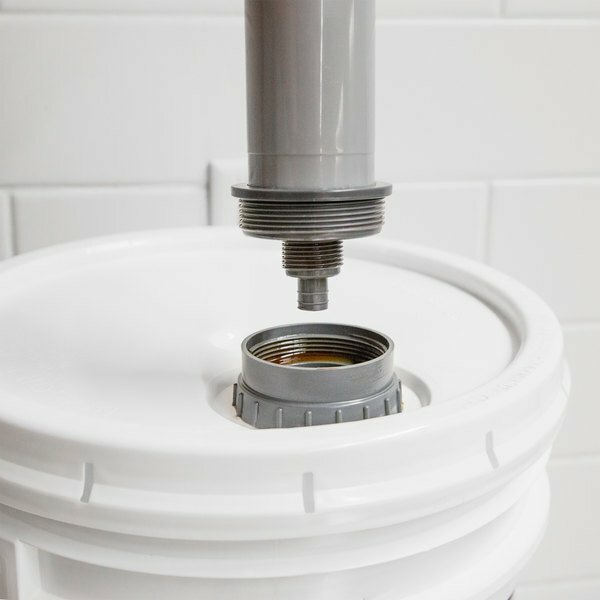 Easy to assemble and install on virtually any 5 gallon pail. This pump works great and has lasted us for years." 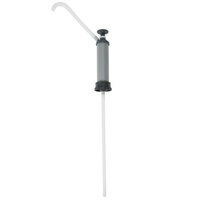 This pump fits into most brands of 5 gallon chemical buckets, including Noble Chemical products. This dispenser is also compatible with many 2.5, 15, 20, 30, and 55 gallon containers, making it a versatile addition to your establishment. Additionally, it comes with pail adapters for 3/4" and 2” NPT fittings. Thanks to this pump’s simple push design, users can quickly and easily dispense the chemicals with one simple pump. Plus, employees can use one hand to operate the pump. Easily adjust this product to dispense 2, 4, 6, or 8 oz. of chemical per pump. Since you can precisely control the amount of product dispensed, you’ll have properly diluted solutions every time. This product is made from polypropylene and polyethylene, making it resistant to chemicals. 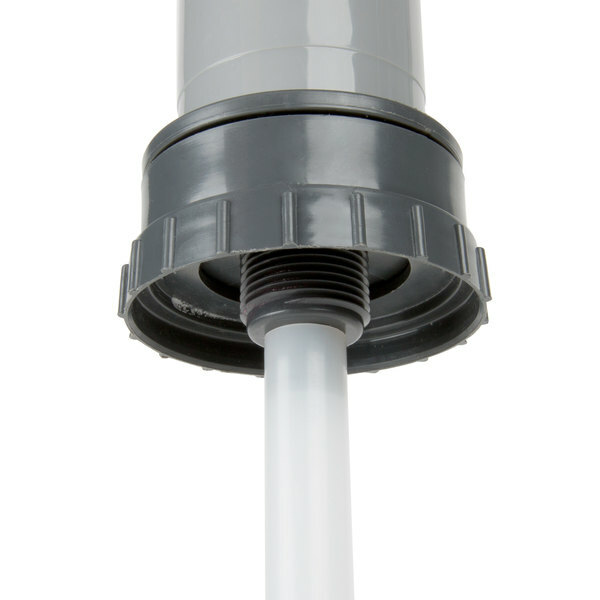 It also comes with a chemical-resistant O-ring that creates a tight seal between the pump and the bucket. Dispensing Rate: 2 - 8 oz. Dispensing Rate 2 - 8 oz. Love this! This thing was a lifesaver when trying to use the 5 gallon containers I had of cleaner as it makes dispensing the solutions a breeze. Before I had to tip it into small containers just to use, which caused a lot of extra work and was heavy and messy to tilt. With this Noble Pump Dispenser I no longer have to do that and it's so easy to just pump out solution directly from 5-gallon container. Easy to install! Love this pump dispenser. We can set it to dispense the right amount every time, and there is zero spillage and zero over measuring of cleaning product. 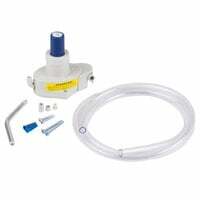 This pump works well and is a great value for the money. I would recommend anybody to make this purchase!! Perfect for large buckets of dish soap. I bought this to use with the five gallon drain maintainer. It is hard to install and seems flimsy. The pump can spray a huge amount of liquid quickly! This pump works great, not a lot of help in current videos or reviews, so i hope this helps, I bought it for the pot +pan Noble chemical and the 5 gallon Low Temp dishwash machine rince, even though they said it wasn't compatible it 100% works, like a breeze, just don't plan on using the threaded ring it comes with, just pop off the spigot it comes with and put the threaded part it there and push, fits and works like a glove, see my pics and video. Works but drips a little every time. Also looses suction after a while so it can take a bit to re-prime making it not a reliable amount. I would only use this for mild chemicals that can be way off on dilution. 4 stars! We so love the Noble brand! This pump is no exception! It's so needed to dispense from 5 gallon drums! And it's so easy to install and use. It's definitely worth the investment! 4 stars! This 5 gallon pail pump is a great value pump for the price. Easy to assemble and install on virtually any 5 gallon pail. This pump works great and has lasted us for years. 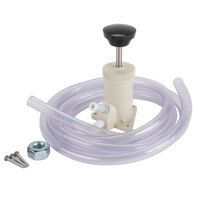 This pump is ideal for use in any 5 gallon pail to dispense liquids. Very minimal assembly required and very easy to use. Durable plastic construction makes this a great product. 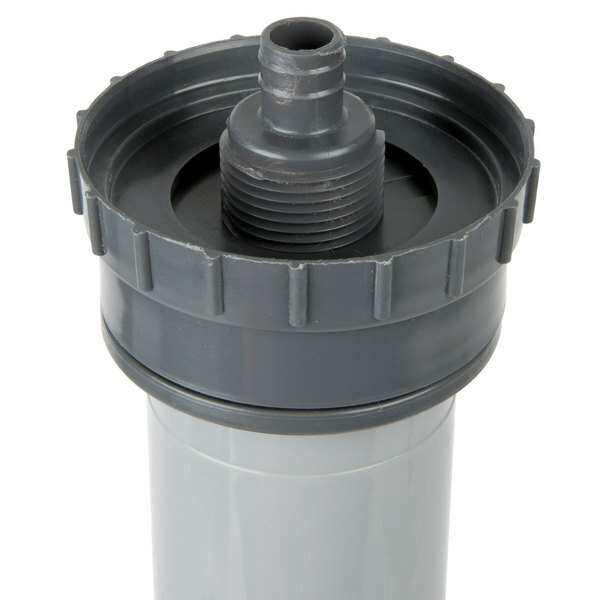 This dispenser is a good option for getting cleaning products out of the 5 gallon buckets. It's a good way to have measured portions too. 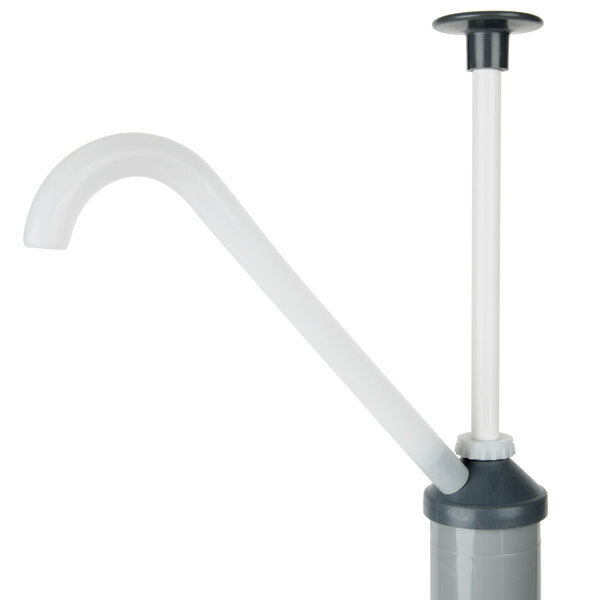 This 5 gallon pail pump dispenser is a fantastic option. It's great at dispensing liquids of all types. Perfect for the 5 gallon buckets it's advertised for. This 5 gallon pail pump is perfect! It dispenses the perfect amount of product and gets right to the bottom of the bucket, so no product is left behind. this pail pump works great. perfect amount everytime for a sink full of dishes. reaches down to the last drop in the bottom and fits the top great. This noble 5 gallon pump dispenser is going to save us lots of money. Now we can by bulk 5 gallon pails of cleaner. Nice that it fits to bottom of pail and great price.